' Burlap Wreath and Flower - the Ornamator Review - Sisters, What! 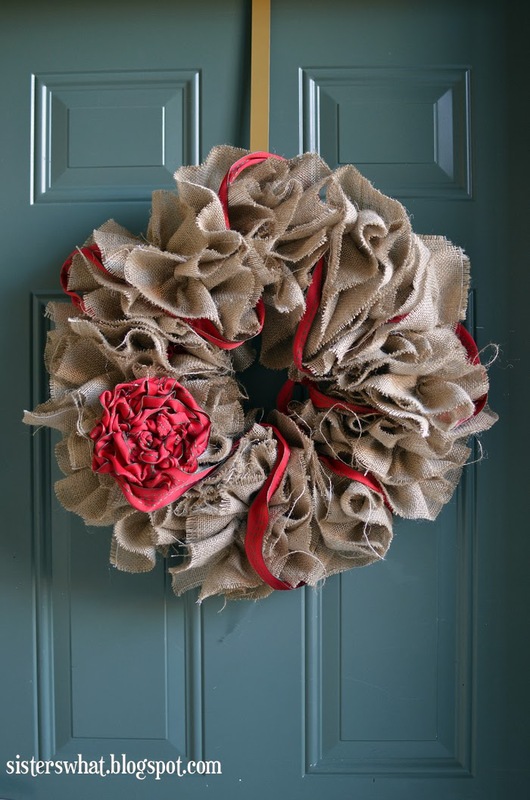 The flower and ribbon are removable which is key to making this the perfect wreath year around. All I have to do is add a bow or flower that matches the holiday. My poor front door is probably going to feel cheated. But honestly, it's very lucky just to have a wreath. Seriously Lucky. I got really lucky with the bow. I had no idea how I was going to put it on so that I can then remove it at seasons end. Then I was asked by Kim from the Ornamator, to try out a few of the super cool hanging ornamator (which makes hanging heavy ornaments a dream). 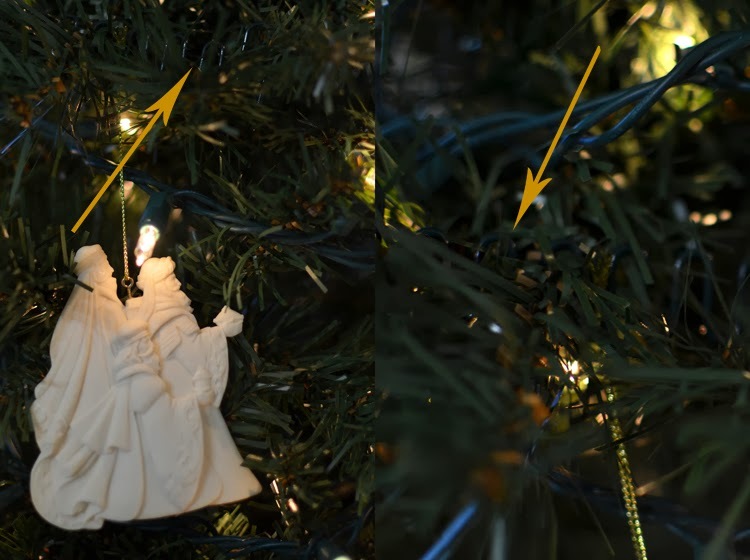 As you can see, the shape is pretty awesome and makes clinging to branches super easy. I tested it out on one of my heavy ornaments and I was really impressed. This ornament is not going anywhere. And the ornamator blends in really well with the tree foliage. And it also works for bows and anything else you can think to hang on a tree... or maybe a wreath. Bingo! I was going to do a bow for my wreath, but I decided to try something different. So I made a flower out ribbon. ////First I cut a circle for as big as the flower you want (as you can see in my third picture, I added more felt on because it wasn't big enough - tacky I know but no one can see it). ////Then with hot glue (no burnt fingers this time) I started glueing and twirling the ribbon around until it looked good. 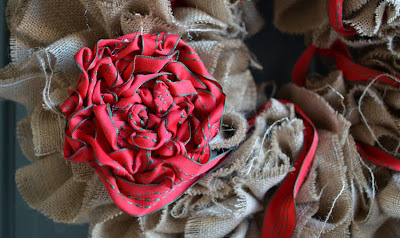 ////then I intertwined a felt piece with an ornamator and then glued the felt piece to the back of the flower. And then I stock it so neatly on my wreath. Awesomeness was born! Go to Ornamator.com to check out other cool things you can do with the ornamator. This was a sponsored review - I have been compensated with product or payment for this post. All opinions are my own based on experience with the product.